All Steel Dragon Tools are CE Approved and government tested. An on-staff master technician inspects all Steel Dragon Tools to ensure top-of-the-line performance. assistance on Steel Dragon Tools. Customer service representatives can be reached Monday through Friday, 8:00 a.m. to 6:00 p.m. EST at 734-224-7112. All products manufactured by Steel Dragon Tools are backed by a one year warranty against manufacturer defects. For more information on Steel Dragon Tools contact customer service here or by phone at 734-224-7112. Steel Dragon Tools are available for purchase from AffordableTool.com and ToolzUnlimited.com. Steel Dragon Tools buys used RIDGID® pipe threading equipment ranging from handheld pipe threader die heads, like the 12-R, up to heavy-duty models like the 1224 and 161. 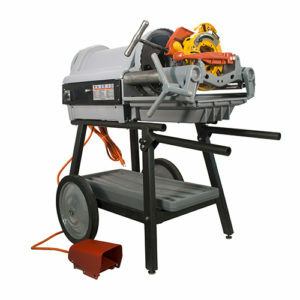 Steel Dragon Tools will also buy the various RIDGID® stands, die heads, and associated products. Steel Dragon Tools will also buy accessories that work with the units like drive adapters, pipe cutters, and pipe reamers. Steel Dragon Tools will consider items that are missing components or have been disassembled for purchase as parts units. Selling used equipment is a great way to clean up the shop and make extra money at the same time. For more information about selling used equipment, please contact us by phone at 734-224-7112 or by e-mail here. When asked about Steel Dragon Tools, we like to talk about the capabilities, quality, and low cost of this great line of products. New customers, however, often have three questions when considering purchasing Steel Dragon Tools. How soon will it arrive? How will this ship? How much extra is shipping and handling going to cost? The answers to these three questions highlight the advantages of purchasing Steel Dragon Tools from Craig’s Affordable Tools. How soon will it arrive? Fast. We understand the importance of getting the tools out as fast as possible. Steel Dragon Tools are readily available in our Southern Michigan warehouse as well as from Amazon Prime warehouses located throughout the country. Orders placed via Amazon Prime are guaranteed to arrive within two business days. Orders from the Craig’s Affordable Tools website ship out from the Michigan warehouse the same day if the order is placed before 3:00 p.m. EST. The shipping department at Craig’s Affordable Tools works relentlessly to get all the orders packed and loaded before the last outbound truck leaves the dock. I have personally witnessed shipping clerks chase a truck down in the parking lot to get one last order out for the day. Sometimes, standard shipping just isn’t enough, for those that need the tool the next day, or the next day early AM, we have options to get the tools out even quicker. How will this ship? In heavy-duty, custom packaging. Good tools are heavy and heavy packages have the highest chance of getting damaged during shipping. Packaging is a critical but often overlooked aspect when it comes to shipping. Even with fast shipping, it does the customer no good if the tool arrives in pieces. At Craig’s Affordable Tools, we understand the importance of packaging Steel Dragon Tools in sturdy, high-quality boxes and crates. Over the years, we have built a close relationship with a local box company just south of us in Toledo, OH. 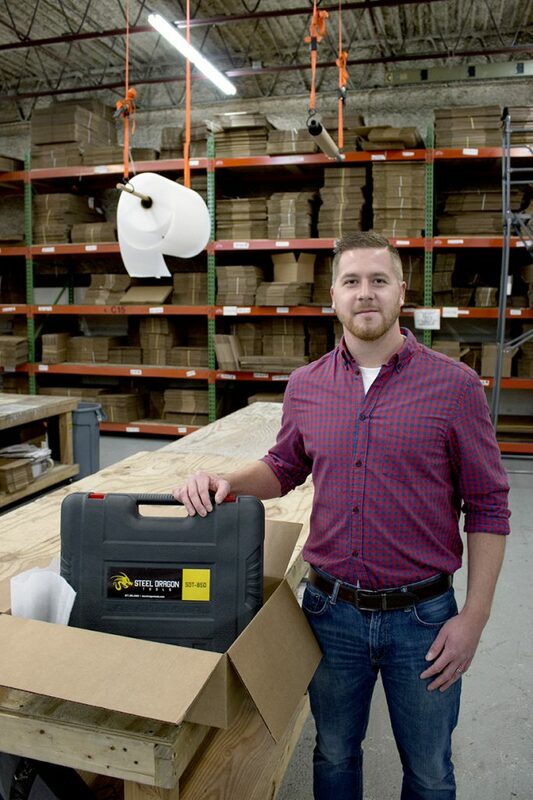 This privately-owned and operated box company creates custom-sized and custom-rated boxes to fit the exact needs of Steel Dragon Tools. How much will shipping and handling cost? Nothing. Craig’s Affordable Tools offers free standard shipping on all orders to the lower 48 states. We have shipping rates down to a science. All items are listed at the lowest possible price without requiring the customer to pay for shipping and handling. We have put great effort into negotiating aggressive ground and freight rates with the top shipping carriers in the country. For the customer that needs their order expedited, we pass on those great rates to get the tools shipped out in the quickest, most cost-effective manner possible. To learn more or to purchase Steel Dragon Tools, please visit Craig’s Affordable Tools. Brett is the Shipping Manager at Craig’s Affordable Tools the largest distributor of Steel Dragon Tools. He oversees all outbound shipments from the Michigan warehouse and has been shipping Steel Dragon Tools since 2006. Brett is an avid hockey player and car enthusiast. Steel Dragon Tools has over twenty years of manufacturing experience in producing high-quality, low-cost tools and machines for a variety of professional applications. Steel Dragon Tools specializes in pipe threading machines and reconditioning used pipe threading machines. Steel Dragon Tools has large line of pipe threading machines ranging from hand-held manual threaders all the way up to top-of-the-line powered pipe threaders. Pipe threaders and accessories are sold separately or as complete packages. Pipe threading kits from Steel Dragon Tools come with everything needed to start threading pipe straight out of the box. 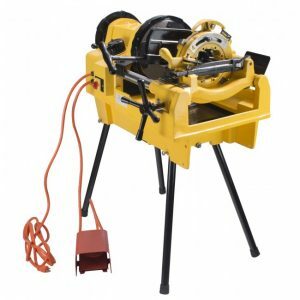 Along with a full line of pipe threading machines, Steel Dragon Tools also offers a broad range of professional machinery for drain cleaning, roll grooving, wire stripping, core drilling, drain cameras, pipe chain vises, magnetic lifters, electric hoists, and more. Steel Dragon Tools manufacturers replacement parts and accessories that will fit most industry standard pipe threading machines. Steel Dragon Tools replacement parts and accessories will keep your pipe threading machines running like new for years to come. 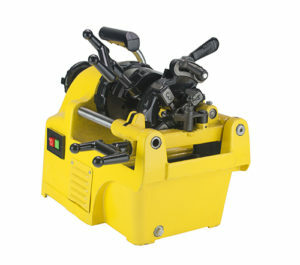 Steel Dragon Tools also buys and sells refurbished pipe threading machines. All Steel Dragon Tools reconditioned pipe threading machines have been disassembled, cleaned, painted, and reassembled to meet the original manufacturer specifications. All Steel Dragon Tools reconditioned machines come with a one-year warranty against manufacturer defect. For more information on selling a used pipe threading machine or buying a reconditioned unit, please contact a Steel Dragon Tools customer service representative at 734-224-7112 or by e-mail at customerservice@steeldragontools.com. State-of-the-art pipe inspection cameras and heavy-duty drain cleaners from Steel Dragon Tools will power through even the toughest plumbing jobs. Hand-held and sectional drain cleaning machines are available as well as all necessary attachments and replacement parts, including cutters, augers, and cables. Pipe inspection camera from Steel Dragon Tools incorporate the latest technologies including LCD flat screens and recording capabilities. Pipe inspection camera systems are available with transmitters and cable counters. Magnetic lifters and wire hoist from Steel Dragon Tools will help make lifting and carrying heavy objects easy. Steel Dragon Tools offers a variety of electric hoists and magnetic tools. Magnetic tools from Steel Dragon Tools include hang-type magnets, lifting magnets, and magnetic sweepers. Steel Dragon Tools offers a wide range of core drills, core drilling rigs, core drill bit, and part for core drills. Steel Dragon Tools core drills are available in several sizes and can be utilized for wet or dry drilling. Core drill bits from Steel Dragon Tools feature laser welding and tall segment heights for increased service life. These core drill bits can be used on re-enforced concrete, brick, block, asphalt, and more. The lineup of Steel Dragon Tools is always expanding to meet the customers’ needs. For more information on the items offered by Steel Dragon Tools, contact customer service or visit one of our authorized distributors. Steel Dragon Tools has a large stock of replacement parts and accessories for many industry standard pipe threading machines. If your pipe threading machine isn’t running like new, call the Steel Dragon Tools technicians at Craig’s Affordable Tools at 866-837-6524 to order replacement parts. If you don’t want to fix the machine, Steel Dragon Tools buys used pipe threading machines. Call Steel Dragon Tools at 734-224-7112 for a price list. 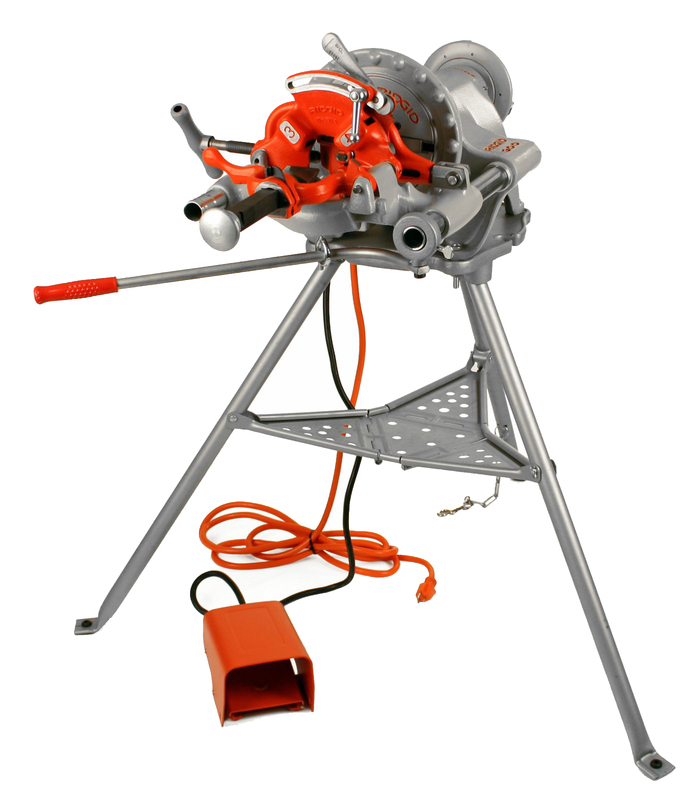 Steel Dragon Tools is an industry leader in repairing and refurbishing old pipe threading machines. All Steel Dragon Tools reconditioned pipe threaders are disassembled, degreased, painted, and reassembled to original manufacturer specifications. All reconditioned machines come with a one-year warranty against manufacturer defects. 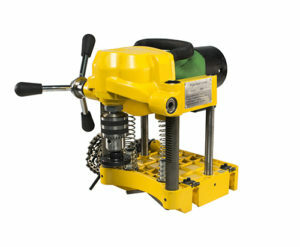 Most reconditioned pipe threading machines come with an assortment of accessories. Packages are available with everything needed to start threading pipe straight out of the box. Buyers can choose between packages with original manufacturer accessories or accessories from Steel Dragon Tools. Do you have used pipe threading machines? Call Steel Dragon Tools for appraisal and prices at 734-224-7112.